Great customer service is the backbone of great customer relationships. Every member of your organization impacts the customer experience, from product to billing to finance. Customers today expect a personalized response to their questions and problems—fast. Companies that reach out across their organization to get input from subject matter experts provide some of the best customer support experiences. Delays to providing critical customer support can really hurt a company’s bottom line. So how do you help your agents get access to the best information when its scattered across your company? That’s why today we are so excited to be announcing the new Zendesk App for Slack, with native Slack Actions. With the new Zendesk App for Slack, great customer service can now happen anywhere in your organization—right where work happens. 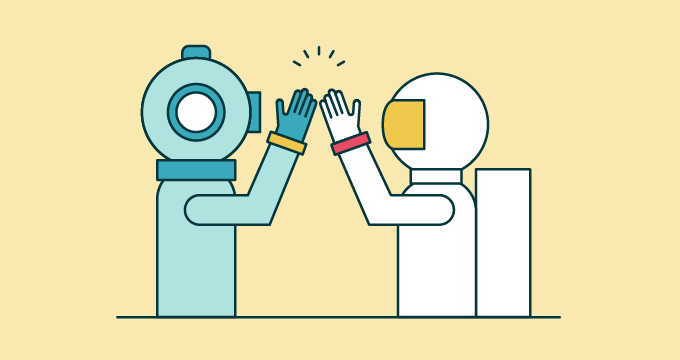 With Slack and Zendesk working together, you can get the right people in your company to collaborate to deliver the best possible experiences for your customers. 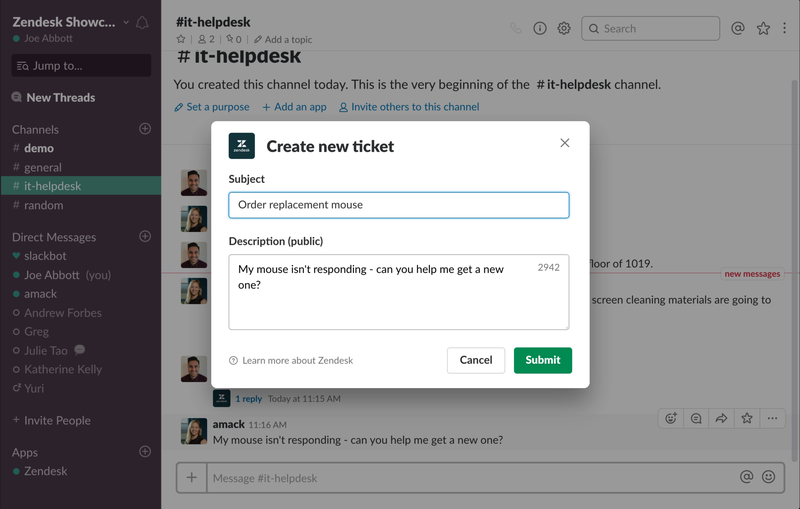 A simple click of the menu button turns a Slack message into an action in Zendesk—making Slack conversations into ticket resolution, follow-up, and more. With the new Zendesk App, Slack users can create tickets and attach comments without ever leaving the Slack interface, so you can keep the process moving forward right where your internal collaboration is already happening. Today’s update to the Zendesk App for Slack leverages the newest Slack Actions feature to boosts agent productivity, reduce ticket resolution times and increase customer satisfaction. 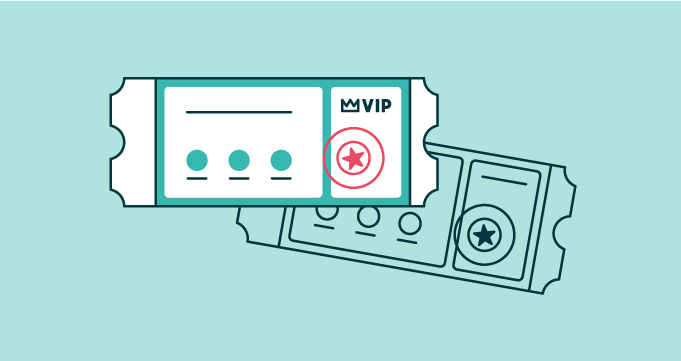 Instant, multi-channel notifications, auto-posting to Zendesk will reduce ticket resolution times and increase customer satisfaction scores. Want more? Download the Zendesk App in the Slack Marketplace, or check out our webinar. Already have Slack and Zendesk? Learn more in our Help Center.